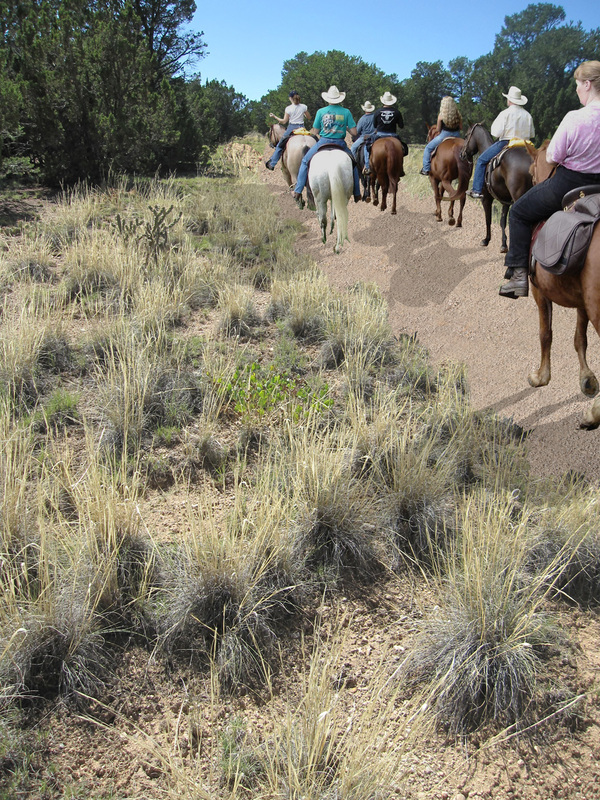 Located on 30 acres of land adjacent to the Wildlife West Nature Park, the Town of Edgewood and Santa Fe County entered into a cooperative agreement to develop and maintain an equestrian arena, trails and a trailhead facility on this open space property. Surroundings was awarded the project and led the master planning effort, a public participation component, and coordination of entitlements with County and Town of Edgewood departments. This scope of work led to the development of Phase 1 construction documents that established a fully ADA accessible public arena for local equestrian venues, covered bleacher seating, a public restroom, an accessible mounting ramp for the disabled, and covered picnic areas along pedestrian and horse trails that will connect with a regional trail system in the future. 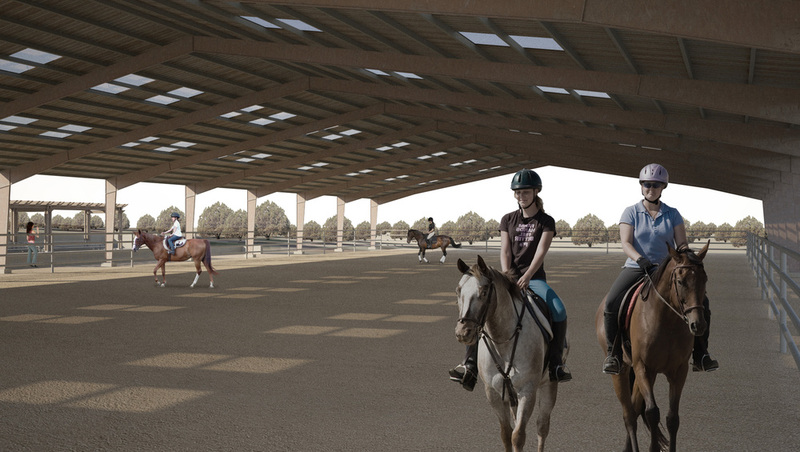 Phase 2 will include an equestrian overnight campsite for up to 20 visitors. Permaculture techniques were utilized throughout the site to direct drainage toward existing and new vegetation, and will aid in soil and water conservation.